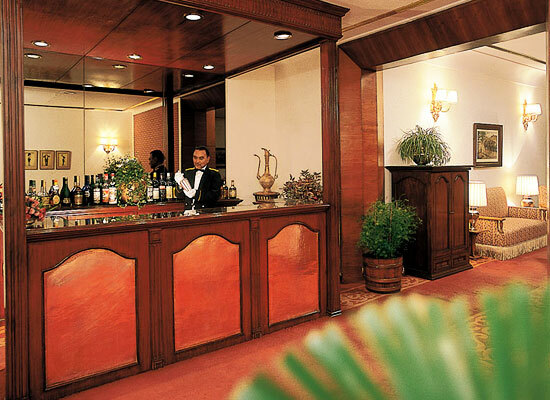 "Lying on the Shimla Mall Road, The Clarkes Hotel boasts of a peaceful surrounding. 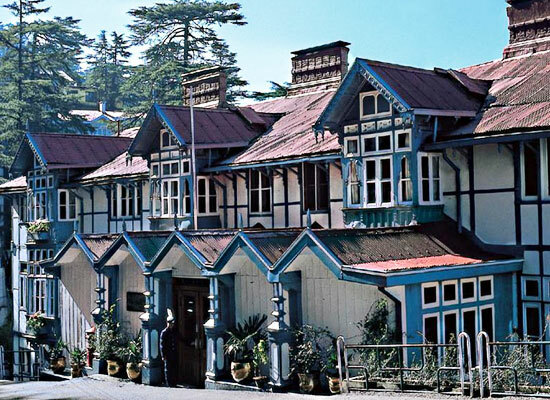 One of the best heritage hotels in Shimla, this property was constructed way back in 1898. Known for its colonial style of architecture, this hotel was upgraded to 'Heritage Grand' category from 'Heritage' category in 2012 by the Ministry of Tourism. The rooms and suites are spacious and are equipped with all the world-class comforts, offering a pleasant stay to the guests. There are a few dining venues that serve lip-smacking delights and finest of beverages. 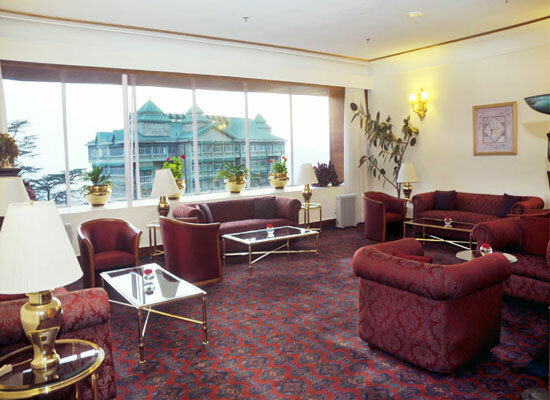 The hotel is close to some of Shimla's popular attractions such as Gaiety Theatre, Rothney Castle, and Mall Road. Constructed way back in 1898, Clarkes was the summer residence of the British. 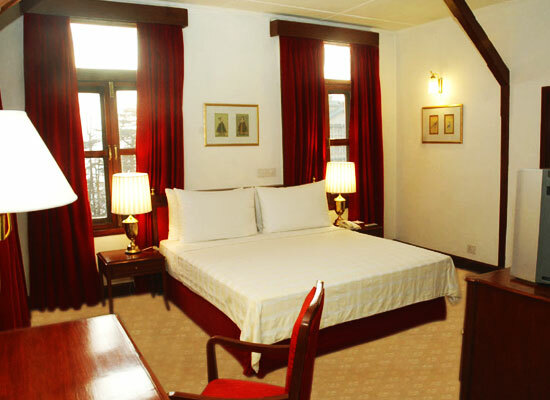 Upgraded from heritage category to Heritage Grand Category, this property is one of the oldest hotels in Shimla. The elegant building has a colonial architecture and boasts of an old world charm. Superior Rooms- These rooms are well-appointed and have a modern décor. 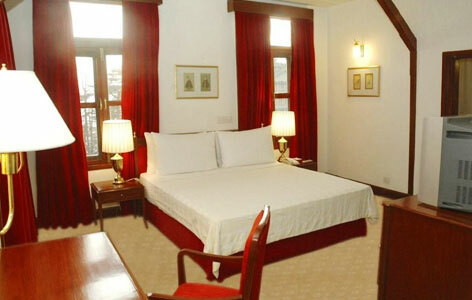 Deluxe Rooms– The sophisticated décor and the wonderful view of Shimla hills are complete charmers. These rooms also have a writing table and a mini refrigerator. Premier Rooms- These spacious rooms come with a wonderful sitting arrangement and offer wonderful views of the Mall Road as well as the hills. Suites – The capacious suites have elegant furniture and come with a reading lobby and a living room. The views of the hills are wonderful too. Dot is a huge dining hall, sans any pillars, constructed during the rule of the British. The hall comes with a seating capacity of 100. The guests can relish lip-smacking dishes of Indian, Continental and Chinese fares. While enjoying the meal, treat your eyes to the wonderful surrounding, hills, forest and the city. The Terrace is an ideal venue for enjoying a leisurely meal along with savoring-in the relaxing atmosphere. This open venue is enveloped by floral beds and has views of the open sky and the mountains. Reminding you of colonial ambiance, this 18th century bar is an amazing venue for relaxing after a day’s visit to the city attractions. Hold your favorite drink and enjoy chit-chat with your loved ones. The capital of Himachal Pradesh, Shimla is one of the most popular hill stations in the country. The mall at Shimla is the best in the country and forms the cynosure of all eyes at the city. Shimla is connected by a toy train line to the Kalka. Road network is also very good, but the toy train ride cannot be missed for any thing on earth.